A Star has been named in Jessica Dragonette's honor! 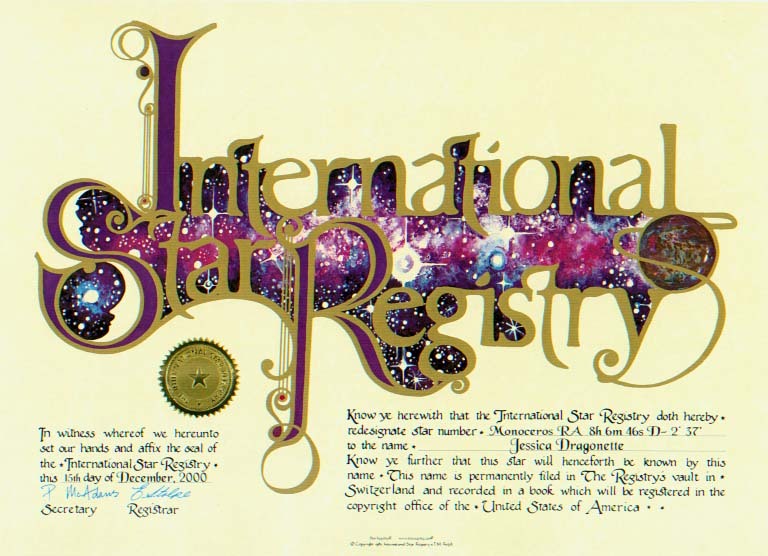 With the help of StarRegistry.com, a star in our galaxy has been named after Jessica! Please click on the banner below for information about naming a star after a loved one!